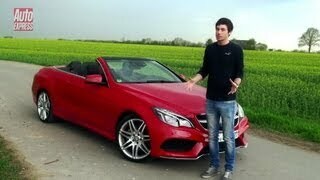 Mercedes-Benz has officially revealed the restyled 2014 E-Class Cabriolet. The bold new styling is combined with sophisticated new assistance systems which are part of Mercedes-Benz "intelligent drive." The model also features exclusive, luxurious appointments for refined driving, which are hallmarks of the entire E-Class family. The available engines for the 2014 E-Class Cabriolet now feature an ECO start/stop system and are highly efficient. The E350 features a direct injection V6 gasoline engine with 302 hp and 273 lb ft of torque. 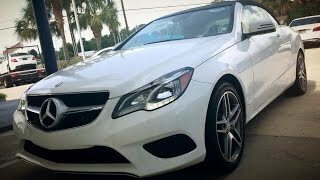 The E550 is powered by a twin-turbo direct-injection V8 producing 402 hp and 443 lb-ft of torque. The E350 Coupe is also available in the U.S. with 4MATIC All-Wheel-Drive. 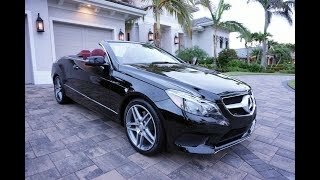 The 2014 E-Class Cabriolet goes on sale in the U.S. in Summer 2013.